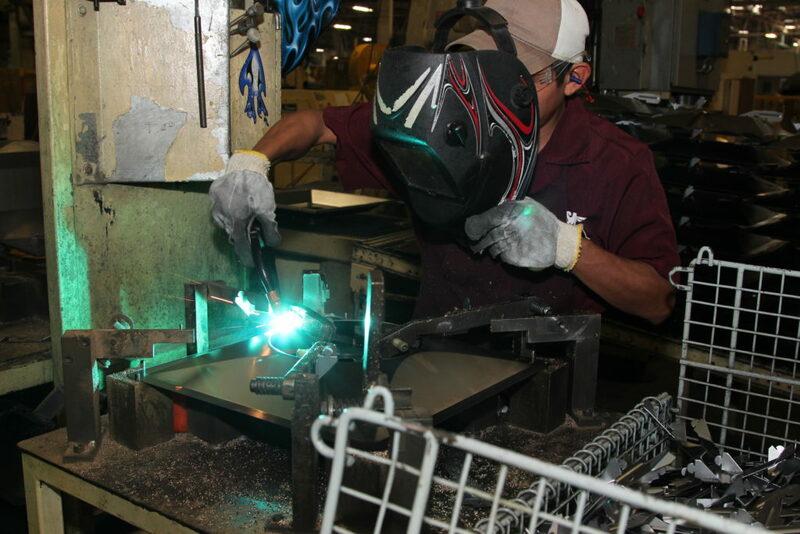 REYNOSA, Mexico–American-owned assembly-line factories known as maquilas that line the Mexican side of the border with the U.S. have been bracing for change since the election of Donald Trump. But not in the way you might expect. They clearly don’t want a border tax placed on their shipments to the United States, as the Trump administration has threatened. But they are embracing the possibility of an updated Nafta saying the current version makes it a harder to operate in Mexico compared to the U.S. It all has to do with time consuming paperwork. Maquila managers and trade groups interviewed in both countries see regulatory uncertainty as an opportunity. “Nafta is 30 years old. 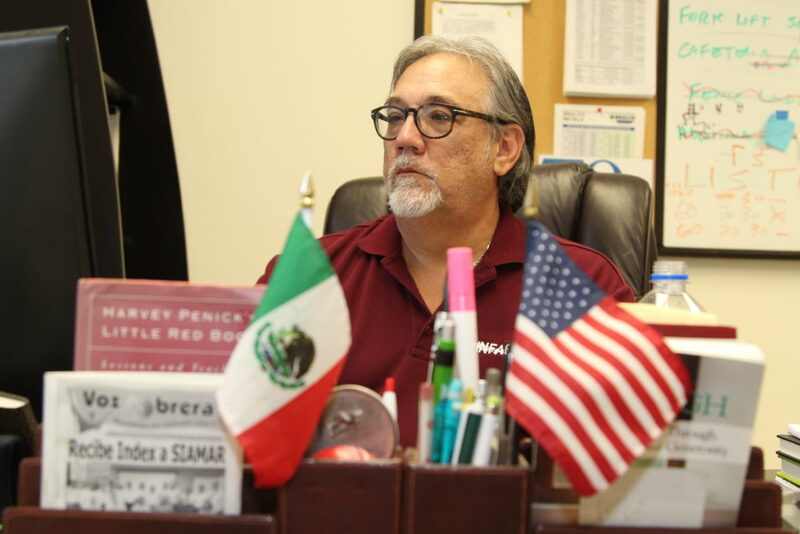 It hasn’t kept up with today’s economy,” said Mike Myers, a Texan who runs a maquila owned by Metal Industries, a Florida company that makes vents for air conditioners and heating systems. Maquilas are foreign-owned factories in Mexico, many American-owned, that produce goods for export. Mexican and Asian interests also own maquilas, which sprung up like mushrooms after the rain when NAFTA took effect in 1994. 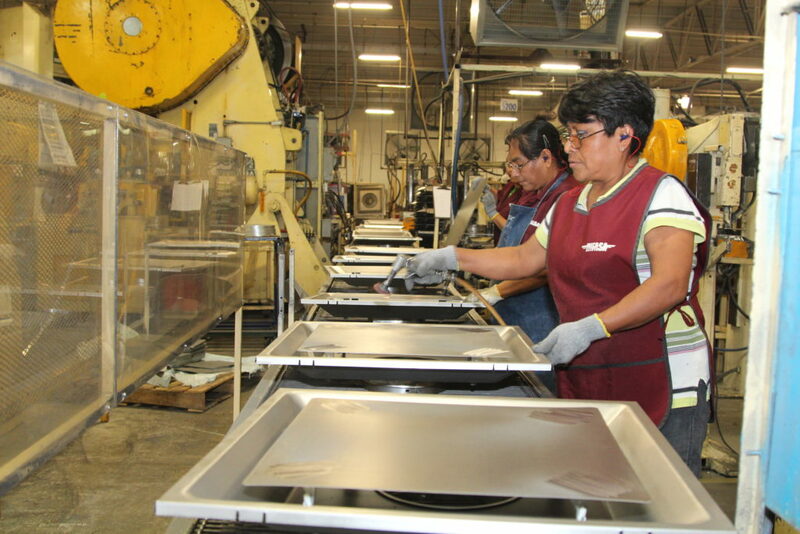 Maquilas leverage low labor costs in Mexico and duty free access to the U.S. market to produce everything from televisions to medical equipment to computer parts. “Everything that you use, all our consumer products are being touched in Reynosa then shipped to the United States because of geography,” said Myers on a factory floor where the din of of powerful punch presses melded into the sound of beehive-like assembly lines. Rhetoric over a border tax that marked the arrival of the Trump administration has eased lately. Leading Republicans like House Speaker Paul Ryan have said the the idea —- where duties would be placed on imports to the U.S.— lacks support and needs to be rethought. That aside, Myers said Nafta needs a makeover. He was referring to a mountain of paperwork, much of it on actual paper. Myers must shown Mexican authorities that all raw material he brings in from the U.S. such as steel, aluminum, nuts, bolts and screws leaves Mexico as finished product. Under Nafta, that’s how he can import raw material and export the end product duty free in both directions. But he and others interviewed for this story in both countries said the paperwork Mexico demands from maquilas to prove that they are meeting that threshold is intense and far more rigorous than what the U.S. asks for to show Nafta compliance when his finished goods cross the border. “If we’re renegotiating the treaty we ought to simplify things like that,” Myers said. Maquilas matter for both countries. Americans pay far less for products they routinely buy while maquilas are one of the few sectors that consistently generate jobs in Mexico. There are other Nafta details that the maquila sector wants changed. Keith Patridge is the CEO at the McAllen Development Corporation, a nonprofit that promotes the interests of American-owned maquilas. “Right now CBP, Customs and Border Protection hours of operation for trucks doesn’t match hours of operation for the Mexico Aduana,” referring to customs inspections stations. Patridge said that different hours translate into lost revenue. 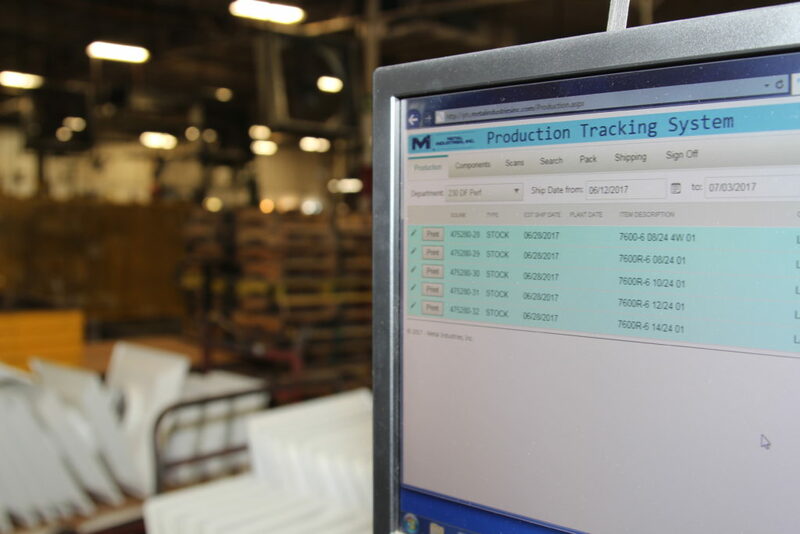 “Companies are more and more looking at really at fast turnaround and delivery. And logistics is the name of the game. We’d like to see that changed,” he said. Patridge said he had something else on his wishlist. The digital age was in its nascent stage when Nafta took effect. Patridge and the maquila owners want an updated Nafta to scrap paper certification in favor of all digital documentation. This entry was posted in marketplace, NPR, Photography and tagged lorne matalon, maquila, mcallen, mike myers, NAFTA, reynosa, tamaulipas, Texas. Bookmark the permalink.